A seasonal shift is underway here in the Pacific Northwest, bringing cooler temperatures, cloudy skies and colorful foliage. Soon, soon enough, I’ll begin the steady retreat into silence and solitude to dream, write and reflect on my travels over the past year. But first, I have a writer’s conference to attend . . .
An annual three-day, sell-out event set in the waterfront community of Edmonds, Washington, Write on the Sound Writers Conference attracts aspiring to best-selling authors. Writing workshops cover the genres of fiction, non-fiction and poetry alongside presentations on marketing and social media strategies for the business side of writing. 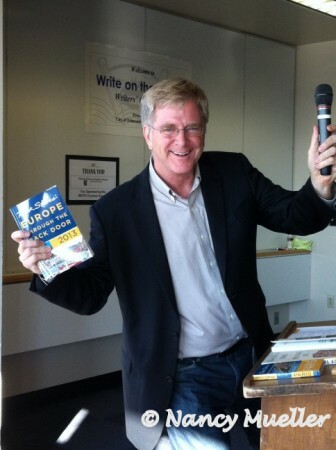 From travel guru, Rick Steves, who lives and works in his hometown of Edmonds, on Travel Writing . . .
“You need to be a keen observer and have a basis from which to make observations. Your writing smells thin when you don’t really know the culture you’re writing about.” Action step: Do my homework before I travel. Learn as much as I can ahead of time to inform my writing. “You’re a lint brush when you’re out in the field. Every night with good discipline you go back to the hotel and type it up, even if it keeps you up past your bedtime.” Action step: No excuses. Write up my notes, download and categorize my photos each night when I’m on the road. “There’s a spiritual dimension to travel and it’s important not to shy away from that. Your readers should know who you are. 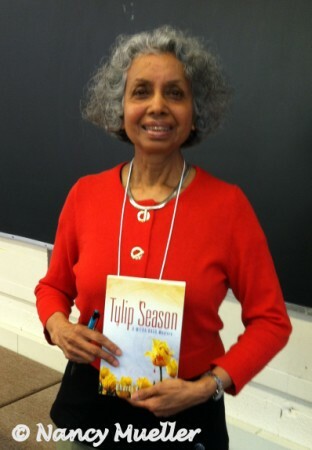 You can write in a respectful way about spiritual issues.” Action step: Be authentic. Remember to share my stories in my own unique voice. “There is a dumbing downess [in travel writing]. I try to smarten up and engage my readers. As travel writers, we have an obligation to inspire people to be moved and changed from their travels.” Action step: Always keep my readers’ needs in mind when I write. Respect their intelligence. “My mantra is ‘Content is King.’” Action step: Forget the fluff. Add substance that will change readers’ lives. From Bharti Kirchner, author of five novels, several cookbooks and scores of short pieces, on How to Add Sizzle to Your Fiction and Memoir . . .
“Writing about cuisine adds to the description and is tied to culture. How people prepare, store and serve food is cultural. For example, in India there are definite rules about who eats with whom, and older people and children are always served first. Banana leaves are typically used so there’s no need for recycling.” Action step: Bring in cultural references through my food writing. “You can get away with using adjectives in food writing. It’s sensuous, vivid and makes your writing more accessible to the reader.” Action step: Remember to engage the senses to make my writing more vivid and lively. 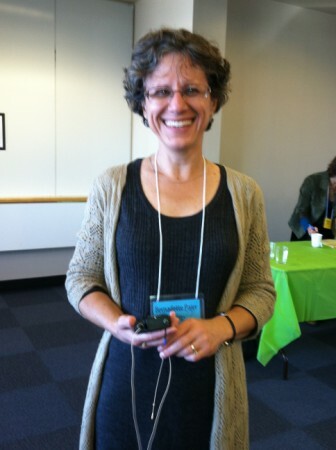 From Bernadette Pajer, author of the Professor Bradshaw Mysteries, on Trigger Writing . . .
“Trigger writing is the relationship between words and what they fire in the mind of the reader. Readers bring emotional memory to your writing. You can trust that your audience will feel it which helps avoid over-writing. For example, the word ‘dumpster’ sets a scene. It grounds the reader in an image and a smell without need of further description.” Action step: Use descriptive words to show, not tell. “After triggers, readers want the writing to slow down so that they see it unfold.” Action step: pace my writing. “Story trumps everything else because the situations the writer has put the reader in have triggered something, i.e. a memory or strong feeling. The reason you’re a writer is because you have a story to tell. 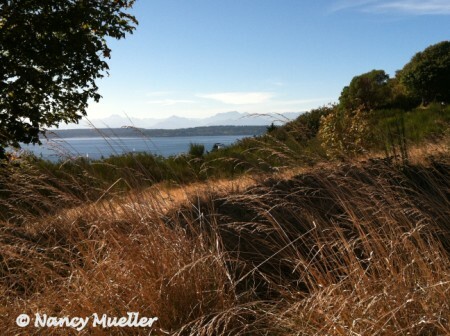 If you felt strongly about someone or a situation, someone else will, too.” Action step: Cultivate my travel stories. What about you, Wanderboomers? What travel writing tips do you have to share with us here as a reader and/or a writer?